Welcome drink (Non Alcoholic) on arrival, Dining is a pleasure at Harideep Vatika Hotel in Rishikesh. Enjoy a variety of snacks. Relax in the atrium or tea lounge with a hot cup of tea or coffee. Enjoy Dinner at Hotel Harideep Vatik for mouth watering cuisine in the area. Breakfast at Harideep Vatika Hotel! Buffest in best style. Check-out and luggage at clock room. 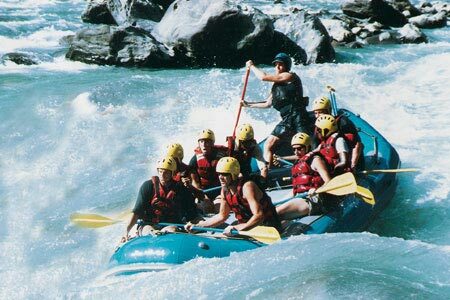 Complimentary transfers from hotel to Rishikesh for white water river rafting! Be ready, Be Wild! Roaring water is waiting! 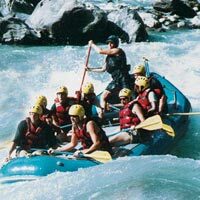 Rafting of (17KMS), which takes 3 to 3:30 HRS and have 09 rapids inclusive 02 wild rapids (3.5 Grade) Back to hotel back to home with thrilling experience.